While we generally report about the twenty land based casinos and gambling centers in Minnesota, in this article we will discuss a few of the many great places you can visit in Minnesota that are off the beaten track. Space prevents us from covering every single great tourist destination in the vast state of Minnesota, but we’ll try to hit a few noteworthy places. First a word about the land based casinos in Minnesota. These are beautiful, friendly gaming establishments but they are not what we might call a Vegas casino. Minnesota is in “fly over country” and the casinos reflect the down-home feeling you’ll get throughout the state. Of course, there is also a major league team in Minnesota but we suggest going to at least one game of the two independent minor league teams in Minnesota. Technically, the Fargo-Moorhead Redhawks play in Fargo but the stadium is all of three miles from Moorhead, Minnesota! We suggest, if you’re coming from say the Chicago or Milwaukee areas, that you first take in a game in St. Paul where the St. Paul Saints play. Getting from St. Paul to Moorhead should be an exciting trip in itself. Travelling from St. Paul to Moorhead via the interstate highway is about 3.5 hours. The interstate is not the best way to see the state off the beaten path. 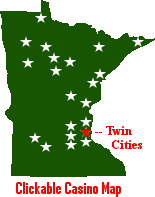 So, after the game in St. Paul, we suggest getting a nice motel room to the northwest of the Twin Cities and the next day travel on highways 10 and 71 toward Lake Itasca State Park. In keeping with the minor league baseball motif, in St. Cloud you can visit the wonderful Minnesota Amateur Baseball Hall of Fame. St. Cloud also has a team in the collegiate summer baseball Northwoods League. This is a league of players who still have collegiate eligibility. They aren’t paid to play, rather play to stay in baseball shape for the next college season. As you travel northwest on highway 10, you can take a few minutes side trip on highway 25 to River Terrace Park in Monticello. The park abuts the grand Mississippi River the beginning of which is in Lake Itasca. This little out of the way park has many amenities for couples and families. Minnesota boasts an abundance of lakes left over when the glaciers receded at the end of the last big ice age. You are never far from a lake in this state. All along the route from St. Paul to Lake Itasca, you’ll pass hundreds of lakes large and small. There are many things to do in St. Cloud for couples and kids alike. The kids love the trampoline center and adults can find a multitude of excellent destinations in and near this little town. One such place is the Englund Ecotone Scientific and Natural Area less than one hour from St. Cloud in the right direction. This nature preserve has actually been left in its pristine state with no marked trails. So, you’ll need to be careful not to get lost. If you venture forth for a few hundred yards, you’ll be just fine. One of the best places to bird watch is Swan Park in Monticello. Thousands of swans populate this picturesque park and the cacophony they produce is music to the ears of dedicated bird watchers. A short drive ahead is the little town of Little Falls. 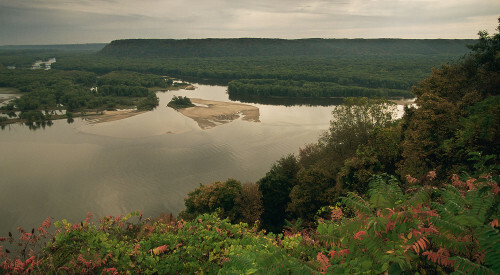 The Mississippi River bisects the town. You can walk along the river or take in one or more of the three top attractions in town: the Pine Grove Zoo, the Military Museum, or the Charles Lindbergh House and Museum. At Wadena, you’ll turn north onto Highway 71 heading toward Lake Itasca. As you go further north, you’ll notice that the land is even more sparsely populated and the number of rivers and lakes increases. Every waterway is another off the beaten path area to explore. Lake Itasca is famous as the beginning of the mighty Mississippi River. Sixty years ago, Ripley’s Believe It Or Not featured a little trivia datum that just after the river leaves Lake Itasca it is actually possible to stand on both sides of the Mississippi River at the same time! Lake Itasca State Park has plenty of fun activities for the whole family. In addition to the baseball game in Fargo, be sure to visit the Heritage Hjemkomst Interpretive Center in Moorhead. There you can see a real Viking ship and a lot more about the old Viking and Norwegian heritage. We seem to have spent a lot of time getting to Lake Itasca. The truth is that there are a lot of off the beaten path attractions in Minnesota. Here are a few from the southern third of the state. If you enter the state from Iowa, you should find your way to Austin where there really is a museum dedicated to Spam – the kind that comes in a can, not to your mailbox! If you come to Minnesota from the Great River Road in Wisconsin, across the river from Alma is the town of Kellogg where, just out of the town, is a place called Lark Toys that is far more than a mere toy store. This is a family-owned business that simply has loads of interesting things for your entire family. About an hour southwest of the Twin Cities is the town of Jordan that boasts of Minnesota’s largest candy store. This store features chocolate and candy from every corner of the planet including some truly exotic “treats” such as chocolate covered crickets! Southwest of the candy store is Walnut Grove which features the Laura Ingalls Wilder Museum. Every July, the museum puts on a pageant based on Laura Ingalls Wilder’s Little House on the Prairie books. Minnesota is a massive, wonderful state with warm and friendly people and magnificent natural beauty. There are hundreds of small towns outside of the big cities of Minneapolis, St. Paul, Rochester, and Duluth each of which is an off the beaten track venture in itself!